Sunlight from an unseen prison window on the right of the scene can be seen illuminating the figures and walls of the cell. 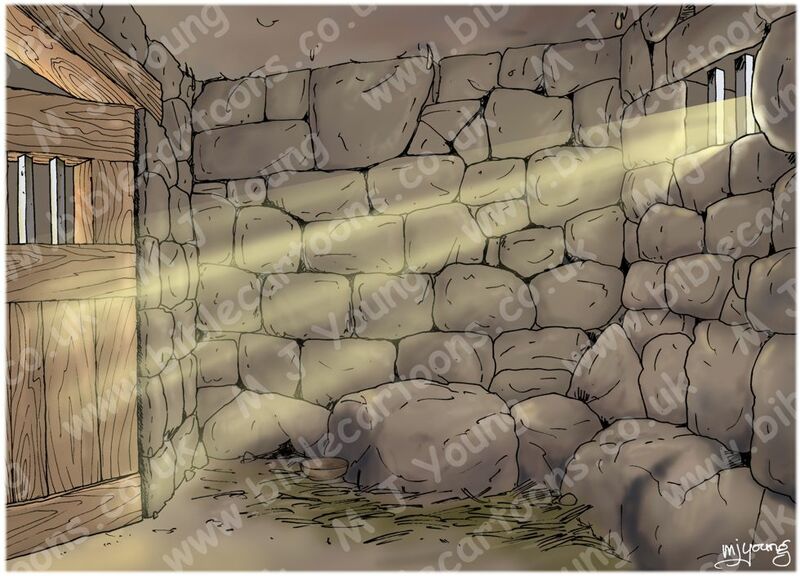 A second source of light is a torch outside the cell, which can be seen reflected off the door window. Joseph, Pharaoh’s cup-bearer and baker. 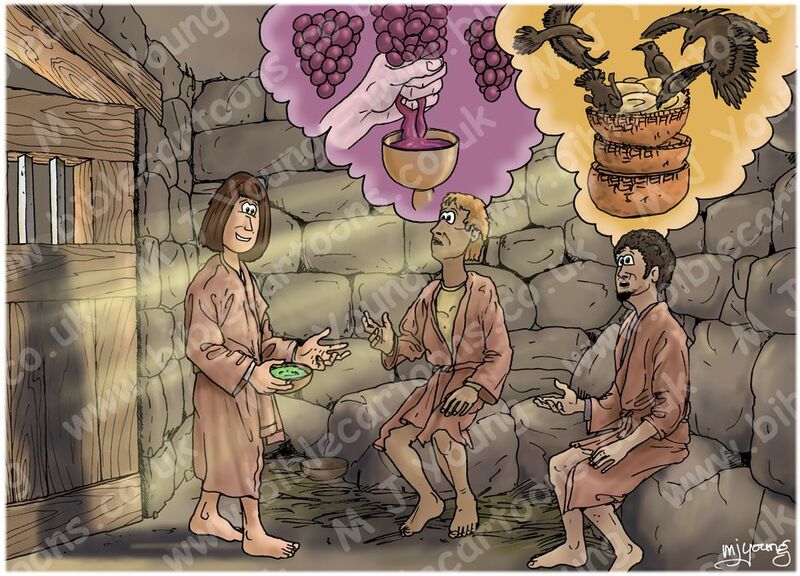 We can see Joseph entering the cell of the cup-bearer and baker. 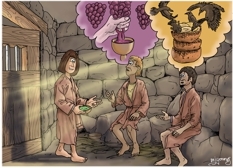 They are telling Joseph there dreams, which we can see as images above their heads.